Unfortunately, drug crimes are a common occurrence in Everett, Washington. The majority of drug possession charges stem from Violations of the Uniform Controlled Substances Act (VUCSA). 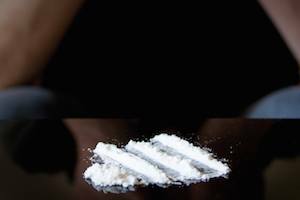 Just small quantities of an illegal narcotic, such as cocaine, can be a violation. It is also important to remember, while small quantities of marijuana is technically legal under state law; it still remains illegal under federal law and large quantities remains illegal under both. A VUCSA charge can bring serious consequences, such as prison, fines, probation, and court ordered treatment. These penalties can be especially harsh if there are accusations of intent to deliver the narcotics, actual delivery, or manufacturing the narcotics. As you can see, a drug charge can result in serious consequences. While you may feel hopeless when facing such a charge, it is important that you have an experienced attorney review your case and negotiate with the state to try to work out an appropriate resolution. Each defendant has a story. You need a caring attorney who will learn your story and be able to explain to the state all of the circumstances surrounding your situation with the hope they will see the bigger picture. Give our Everett, Washington, office a call to discuss your options and how to start preparing for your case.